We know! You're sick of grey...and beige...and grey beige. You want color. But you don't want to be overwhelmed by color so you're trying to figure out the best way to incorporate it without overdoing it. Blue is a great color for a;,pst amy space. Depending on the shade, ti can be dark and moody for a bedroom or light and airy for a common area like a great room or dining room. Accoring to Houzz, there are certain go-to blue hues that are guaranteed to make the statement you want! We still love muted blues with grey in them so Skylight by Farrow and Ball is a great option. It can really work in common areas or bedrooms because the mix of blue and grey make it versatile. 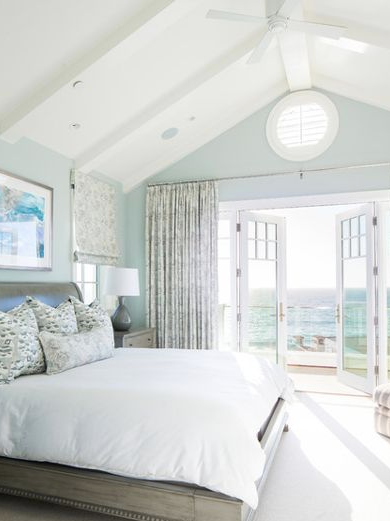 If you want to go with a little brighter that can be more bedroomy...although we've seen it used throughout entire homes, Retiring Blue by Sherwin Williams is a clear blue-green (mostly blue) that leaves your home feeling light and bright and almost beachy! Going much more green and feeling super springy is Watermark by Behr. 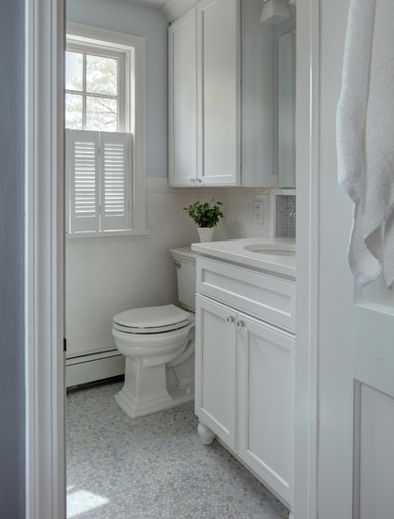 Again, we see it as a bedroom/bathroom color but it's calm enough to work in other spaces too. The perfect dining room color is Winter Ice by Benjamin Moore and we can't forget about one of our favorite go-tos---Silver Strand by Sherwin Williams. All-in-all, we consider blue to be a neutral and love mixing it in. Blue is classic and can really work in almost any part of the home as long as it's paired with the right mix of other items. It really is one of our favorite colors!